Should one invest in mutual funds after market crash? In a situation of a market crash, while most of the market is seen panicking, you can act smart by investing in good long-term mutual fund portfolios, buying more units and benefiting out of the crash. 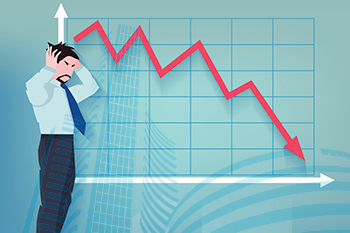 You must have often heard about investors who lost a huge amount of money within a short period of time when the Sensex and Nifty plummet. Even the news of a market crash creates panic among investors. While most of the investors are seen losing track, there are a few who know how to quickly get up and get back in the game. In investing, going merely by the market sentiment may lead you to make blunders. Similar is the case with mutual funds, where the NAVs (Net Asset Values) can fall due to its dependency on the stock market. In such a situation, it is tough to decide whether to retain the existing mutual fund portfolios, sell them off or invest further. Stay focused and look forward to your financial goals: Despite going by the market sentiments, which is mostly panicking to the crash, stay focused and keep calm to avoid losses. Abide by your financial goals and try to figure out the best way to achieve them. Search for all the available options and then choose the one best suited for you after thorough analysis. Ensure the fundamental strength of the portfolio: If you are looking forward to making investments in the mutual funds due to the lower NAVs, you must ensure that the fund is strong enough fundamentally. Strong fundamentals ensure brighter future prospects, in the form of higher value in future. This makes it a good deal to buy such a good investment option at a lower price during a market crash, where you can buy more units of promising mutual fund portfolios. Compare with other portfolios for better insight: To find the best out of all the available alternatives, it is important you analyze the funds thoroughly. The best way is by comparing the history of prices, mainly the amount of fall during the crash. The ones that fall below the average, clearly lack resilience, while the ones with a lower fall, show better future prospects. And though past performance may not always be the right indicator for future, it gives you an idea of how the funds have been dealing with crisis earlier. Buy mutual funds taking benefit of the lower NAV: Mutual funds follow rupee cost averaging, wherein the number of asset units is purchased depending upon the current Net Asset Value. When the NAV decreases due to the market crash, one can buy a bigger number of units when eyeing for a long-term investment. But one must ensure that the portfolio has good future growth prospects to get better returns in future. For such portfolios, buying them during a crash is a good decision, despite the widespread panic in the market. Not every fund is worth buying: Despite a lower NAV where you can buy more units of funds, investing in any random fund is not advisable. Any wrong investment at this stage could bring in the possibilities of hefty losses. Thus, caution must be practised to analyze the right funds, which would be able to pass the phase of the market crash without many harms. This is only possible when the portfolio is made up of fundamentally strong stocks. In a situation of a market crash, while most of the market is seen panicking, you can act smart by investing in good long-term mutual fund portfolios, buying more units and benefitting out of the crash.